120 Days Same as Cash $468.00 - Easy to Qualify Just Call. 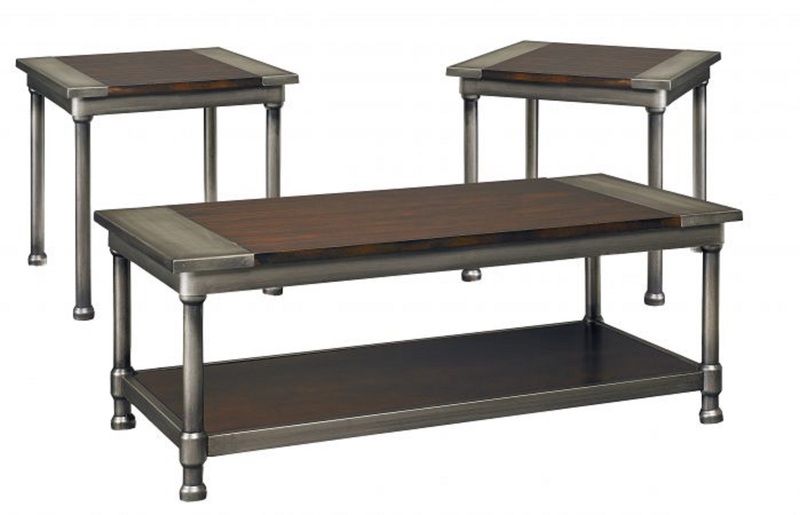 Hudson tables, with an aged metal finish and burnished cherry stain, offer mainstream industrial styling that is just the right look for acasual contemporary life. Table tops and shelves show a planked reclaimed wood look with the top’s ends wrapped in sheet metal for an added industrial detail. Pieces include a Rectangle Cocktail with bottom shelf, a Rectangle End Table.